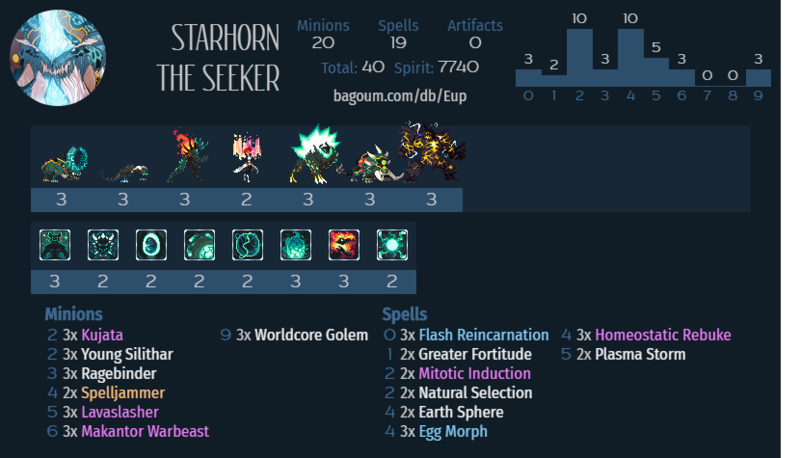 So I saw this memey Worldcore Golem deck at https://duelspot.com/deck/worldcore-golem-epic-memery/#deckcomments (credit to @gamerbothd), realised all I needed to make it was the 2 Mitotic Inductions and decided to give it a spin. How he played into your Makantor was mindblowing. Interesting deck! Can I ask why you have young slither and not golem metallurgist?